More than seven decades of 4x4 development and engineering has culminated into the entirely fresh 2018 take on Jeep Wrangler JK Unlimited. This SUV should be unrecognizable with the amount of renovations that have gone into the model year changes, but that iconic Jeep angularity, flaring wheel wells, high clearance, seven slot grille with rounded headlamps, optional bare-frame design, and full-size rear-mounted tire still make this one of the most recognizable vehicles on the road today. 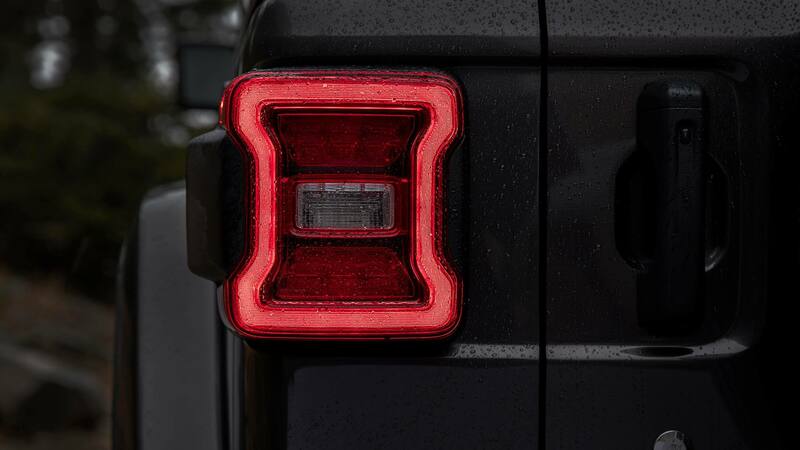 Jeep's engineering and design departments have outdone themselves with this four-door modern classic. All new technology, powertrains, interiors, and body have set the 2018 Jeep Wrangler apart from its previous generations. What new features are available in the 2018 Jeep Wrangler JK Unlimited? Just about every facet of this SUV has been modernized and retouched with an extensive eye for detail throughout its four trim configurations. The standard package includes an eight-speaker audio system and 552-watt amplifier with subwoofer, reliable 4x4 capabilities, LED fog lights, underbelly skidplates, and zipperless Sunrider removable soft top with spring-assist raising/lowering for the open air experience. Also available is a removable hardtop in black, tan, or body-colored options. The body-color dashboards, an included touchscreen media system, water resistant premium cloth or leather-trim upholstery, and four extra wheelbase inches to accommodate the rear seats for three more passengers to ride the trail in comfort and style. Updated touches are everywhere on this vehicle. The hinging windshield has been simplified down from 28 bolts to only four, and much of the removable body parts have been cast in aluminum for less weight, better fuel economy, and easier stripdown. New air extractors have been added behind the front wheel wells for better cooling to the engine, and a heavy gauge tubular steel rock rail set is available on select models to avoid terrain damage. The added second row seating doesn't subtracts from storage capacity; 72 cubic-feet of cargo space is available in the trunk, along with panel-hidden floor storage. What new systems are in the 2018 powertrain? 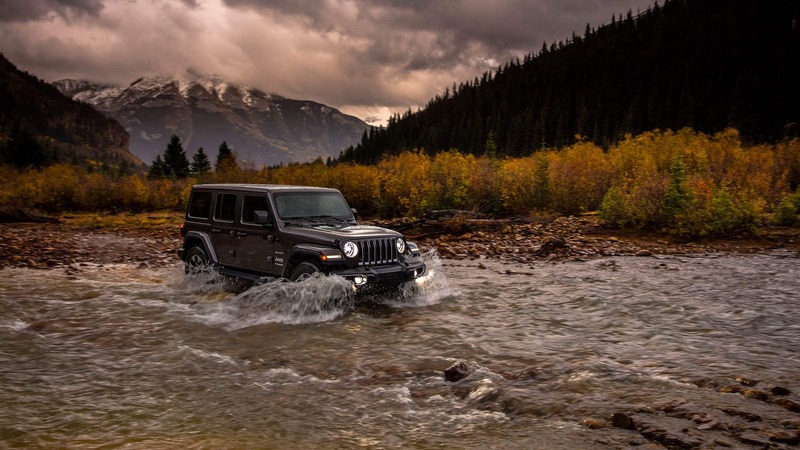 Specifically engineered for off-roading ease through any terrain, weather, or water, the 2018 Jeep Wrangler Unlimited is Trail Rated with power to pull up to 3,500lbs. Available are two great engines for choice of either higher horsepower or higher torque ability with semi hybrid efficiency. First is the 3.6L V6 Pentastar engine, delivering 285hp and 260 lb-ft of torque for 17/23 city/highway mpg. Second available is the new 2.0L Turbo four-cylinder with eTorque adding an electrical motor in place of a standard alternator. This engine maxes at 270hp and 295 lb-ft of torque, and is standard with an automatic eight-speed transmission, whereas the V6 is available in the eight-speed or a six-speed manual (the only vehicle that offers the Pentastar paired with a manual transmission). A great drivetrain is what gives this vehicle it's proficiency off the beaten path, though. Individual axle articulation and swaybar disconnect maximizes tires' contact to the ground for best traction across uneven terrain; great ground clearance maneuvers through breakover points, departure angles, and up to 20 inches of water fording; and fine-tuned 4x4 systems know which tire to provide a boost of power to for best forward momentum, or when to switch from 4WD to 2WD to save on fuel during easier road or driving conditions. Front/rear tow hooks and optional front/rear winch are able to get you or anyone else out of a tricky situation. What are the new 2018 Jeep Wrangler JK Unlimited safety features? 75-plus standard and available safety and security features guarantee a safe ride throughout your adventures. Passive features include high-strength steel side and overhead beams for improved side impact performance and frame stiffness. New modernized standards added for 2018 include the backup camera, Electronic Stability Control and Roll Mitigation, Trailer-Sway Control, Hill Start Assist, Traction Control, and Brake Assist. Advanced driver assist features such as Blind Spot Monitoring, Cross-Path Detection and Warnings, and ParkSense Assist add in additional awareness surrounding your vehicle. Jeep's Wave Program is available on select models, supplying owners with 24/7 support and maintenance plan. 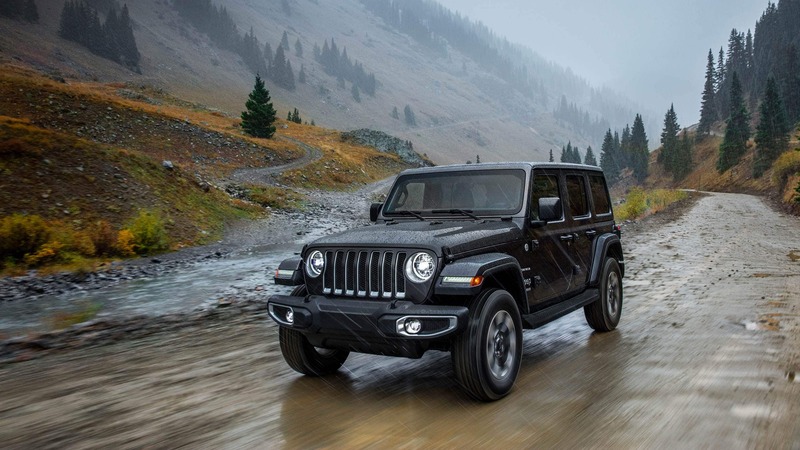 Jeep's long lasting value of continuous improvement and up-to-date capabilities in their vehicles has flung the 2018 Wrangler into the modern age. Superb new systems make this Wrangler the most technological yet, no longer relegated to tearing up the backroads and the treacherous wilderness but finding home driving around the neighborhood or highway cruising as well. 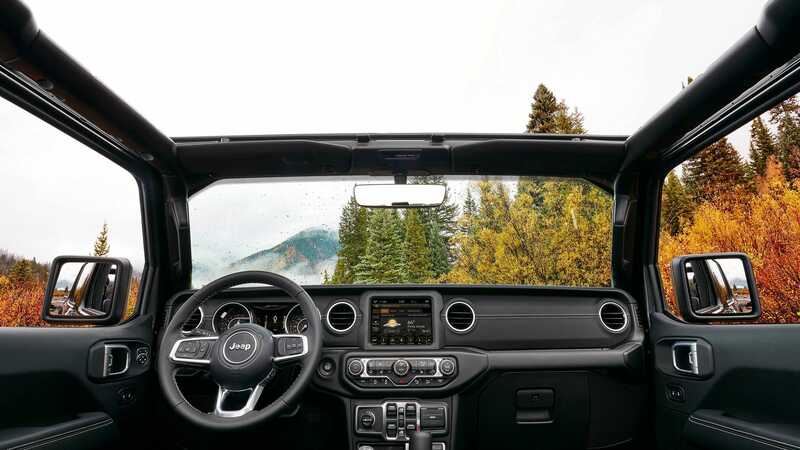 The 2018 Jeep Wrangler still connotes a strong sense of adventure, fun, and freedom to go where you please. Try out the Jeep life today.